The Directors of the Company have over 100 years’ combined experience in the resources and corporate sectors. They bring to the Company a genuine belief that shareholder wealth can be achieved through exploration success and stakeholder management. 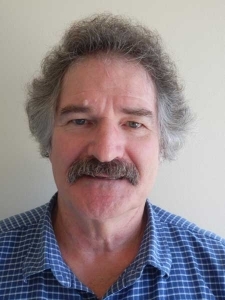 A geologist by profession, Ross has had over 26 years’ experience in mineral exploration in Australia, Asia, Africa and South America and he has worked in a broad range of commodities, including gold, base metals, uranium, phosphate and diamonds. Ross has a rare ability in recognising the commercial potential of exploration projects and geological process, and has a proven track record of bringing technical-based exploration concepts and projects to market. In 2009 Ross co-founded the gold/copper exploration company, Mystic Sands Pty Ltd, which was established for the purposes of conducting exploration in Chile, South America. With the assistance of other technical management Ross was responsible for the composition of the initial project portfolio. Mystic Sands was purchased by Australian-listed explorer White Star Minerals. As part of the transaction, Sandfire Resources NL became a shareholder of Whinnen as consideration for providing technical services to the company. In 2006 Ross developed an innovative exploration model for “Langer Heinrich-style” uranium mineralisation that was used as a basis for global project acquisitions in 2006 and 2007. These projects were packaged into Oklo Uranium Limited, which completed a successful $8M IPO on the Australian Stock Exchange in May 2007. In 2001 Ross created the diamond company, Central Kimberley Diamonds (“CKD”), which was listed on the German stock exchange, raising $3.9M. The company enjoyed several technical and milestone successes including the discovery of a large diamond-bearing gravel deposit and the production of diamonds from its own mine. In 2011 CKD was bought by an Australian exploration company who intends listing on AIM in London. Ross turned his attention to Peru in 2009 and through his network of Peruvian-based businessmen and geologists assessed the potential of more than a hundred projects. Ross immediately recognised the great potential of mineral discovery in that country and recognised the potential of Inca’s lead project, Chanape, from being a known polymetallic deposit to being that of a potentially large gold-silver-copper porphyry deposit. 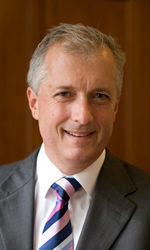 Ross was the co-founder and Managing Director of Urcaguary Ltd, the Company’s fully owned subsidiary (formerly called Inca Minerals Ltd) and he became the Company’s Managing Director after its merger with Condor Metals. 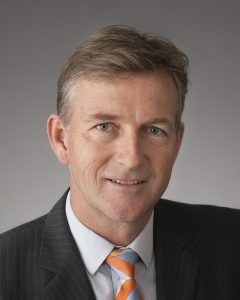 Ross has been a member of AusIMM since 1988, and is also a member of GSA, SEG and AICD. Gareth has over 30 years of relevant experience in both technical and financial expertise relevant to mining and exploration companies, together with a firm grounding in equity analysis and funds management. A mining engineer by training, he has operating experience in gold, base metals and coal operations in Australia, South Africa and the United Kingdom. Gareth is part owner of the Element group, a Perth-based boutique advisory and funds management group focused on the resources sector. Through the Element group, Gareth provides strategic advice and fund raising services to both listed and unlisted companies (predominantly mining and exploration companies) using both equity and mezzanine instruments. Prior to establishing Element (in 2008), Gareth was an Associate Director at the Rothschild Group where he helped establish the Golden Arrow Funds I and II, the latter fund becoming the ASX-listed LinQ Resources Fund. At the time of his departure from LinQ, the fund was one of Australia’s largest listed resource funds with funds under management of over $475m. He has held a number of senior positions at Australian resource-focused stockbroking firms including Research Director at Hartleys and Resources Analyst at Eyres Reed. Dr Jonathan West has worked across a variety of resource and energy development and management areas, in both the private and public sector for over 40 years, both in Australia and overseas. He has extensive senior executive management experience with a particular focus on strategic planning, policy development, resource development and management, and corporate and organisational change management. He has extensive experience with shareholder/stakeholder engagement and in working directly with Traditional Owners on a range of resource management and economic development projects.